L-R: Jon Hacking (Associate Director; HSBC Global Markets), Louise Gee (Finance Supervisor; Microlise), Sara Lemon (Deputy Relationship Director; HSBC), Jack Coley (Relationship Director; HSBC), Bill Wynn (Chief Financial Officer; Microlise), Nadeem Raza (Chief Executive Officer; Microlise), Nick Wightman (Finance Director; Microlise) and Phil Carr (Relationship Director; HSBC). Microlise, the commercial vehicle telematics provider, has refinanced its banking facilities with HSBC UK to support product development, international expansion and job growth. The finance includes a £2.5 million Revolving Credit Facility, which will be used to provide working capital for product development and job creation. Microlise expects to grow its turnover from £51 million to £60 million by 2020. Microlise specialises in telematics, a technology to monitor vehicle performance, driver behaviour and vehicle location. The business currently operates in India, Australia, France, the USA and the UK. HSBC UK’s global footprint will enable Microlise to streamline its international banking requirements in these regions. In addition to the Revovling Credit Facility, HSBC UK provided further finance to support the business’ shareholder reorganisation. 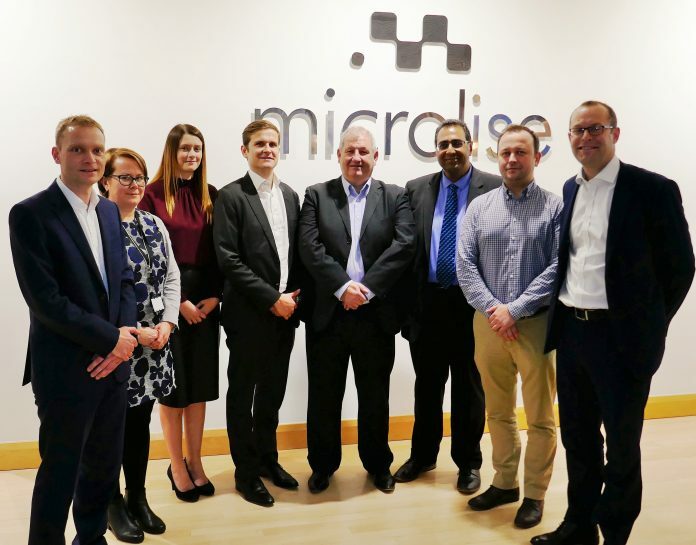 Microlise’s switch to HSBC UK was led by Relationship Directors Phil Carr and Jack Coley, and supported by Peter Bate, Stuart Sewell and Neil Mistry of KPMG, Graham Elsworth, Vinod Patel and Richard Rose of BDO, Richard Underwood of Legal Clarity, and David Doogan of Pinsent Mason.